I simply adore the swallow-like flight of this wader. 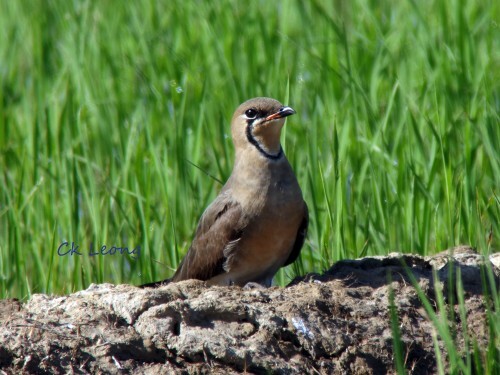 For the past weeks now, large numbers of this Oriental Pratincole Glareola maldivarum have been seen in the rice fields of Tempasuk, north of Kota Kinabalu. They are supposed to be passage migrants but many of them are in breeding plumage. Breeding has been recorded here but it will be a first for me. I am not sure why they are waders as they always stay on dry areas. Large numbers congregate mid-morning to perform their aerial maneuvers much like raptors do. What a wonderful sight!